Commisioned art I did for a Bride for her Husband to be. Deadpool & Equlibrium Clerics... oh my. Oh my. 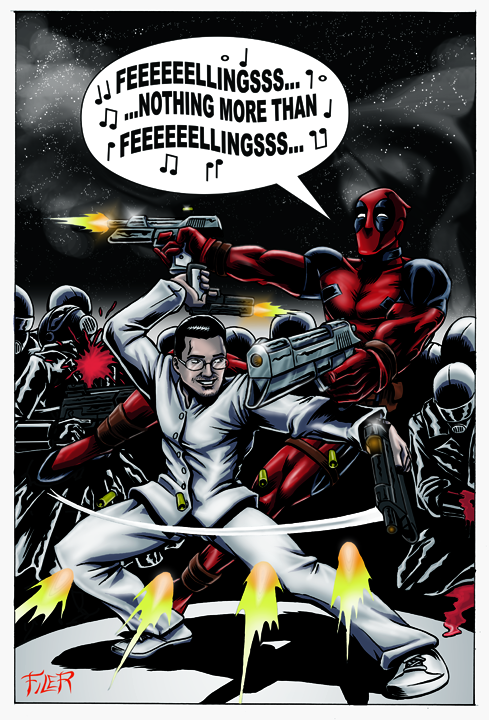 This is the second most brilliant picture featuring Deadpool I've seen in my life!